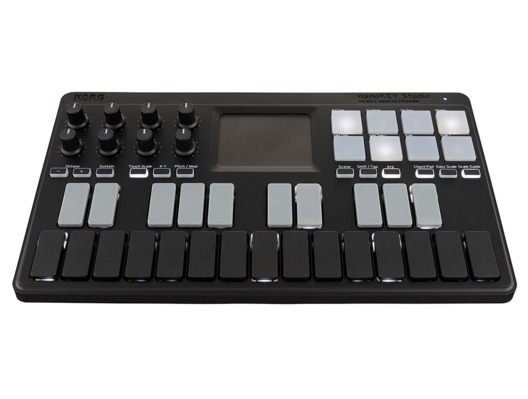 The Korg NanoKey Studio is a mobile MIDI keyboard that gives you flexible controle as you can connect the Nanonkey Studio via USB or wirelessly. It has 25 velocity sensitive backlit keys that are easy to use and will have you making music in no time. It also features 8 veolcity sensitive backlit pads as well as a kaoss pad for scale and CC entry. Here we have the Korg NanoKey Studio in new and manufacturer refurbished which will come boxed 'as new' with a 1-year warranty. Buy this amazing NanoKey Studio with confidence with 100% satisfaction guaranteed or your money back!